Can your child round numbers to 100, count back change correctly, interpret bar and picture graphs, and make equivalent fractions? With Horizons 3rd Grade Math Student Book 1, he'll master these math concepts and more! This student workbook contains colorful lessons 1-80 with 8 review tests. Pages in this Alpha Omega curriculum are perforated for easy removal. Math made easy! With Horizons 3rd Grade Math Student Book 1 from Alpha Omega Publications, you'll find everything you need to give your child a solid education in mathematics. Fast-paced, brightly illustrated lessons in a softbound, consumable workbook keep your child focused through the process of introduction, review, and reinforcement. Concepts featured in this elementary math curriculum include writing a division fact three ways, illustrating the order and distributive principles, multiplying with money values, interpreting distances on maps, writing equivalent values for Roman numerals, and more! Plus, you'll be surprised when your child declares math his favorite subject with hands-on learning activities and other manipulatives that make learning math fun! And here's an added feature! 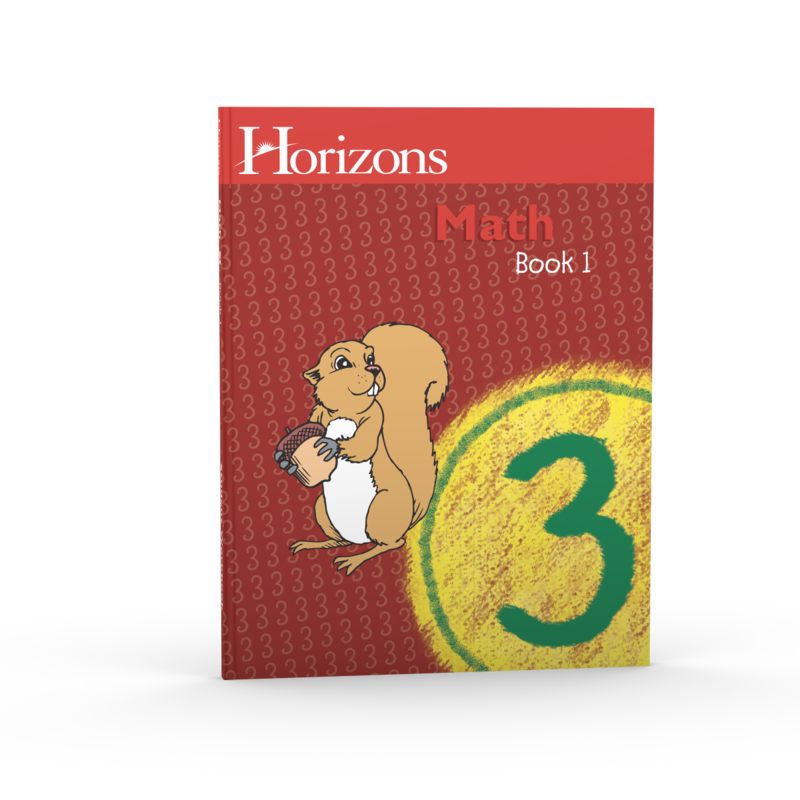 After each series of 10 lessons, the Horizons 3rd Grade Math Student Book 1 includes a comprehensive review test to ensure your child's thorough understanding of each new math concept. What could be better? Don't wait any longer to discover the easy, fun way to teach math in your homeschool. Add the best-selling Horizons 3rd Grade Math Student Book 1 to your shopping cart today!